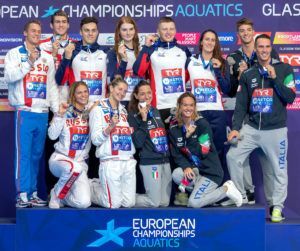 The seventh and final day of swimming at the 2018 European Aquatics Championships has arrived, and we’ve got one more action-packed final to close things out. We’ll see a total of nine finals, with the women’s 50 fly, 50 breast, 200 back and 400 free on the docket, along with the men’s 50 free, 100 fly and 400 IM individually. The session will finish with the 400 medley relays for both men and women. Among the highlights: Sarah Sjostrom will seek her fourth gold of the meet in the women’s 50 free, Ben Proud leads a loaded men’s 50 free after breaking the textile world record last night (21.11), and Italian Simona Quadarella will look for the distance triple in the women’s 400 free after already winning the 800 and 1500 here. Sarah Sjostrom claimed her fourth individual gold medal of the competition in winning the women’s 50 fly, clocking a time of 25.16. She has been slightly faster this year (25.07), but she looked thrilled to simply win and earn her fourth consecutive title in the event. Emilie Beckmann of Denmark and Kimberly Buys of Belgium picked up silver and bronze with swims of 25.72 and 25.76, while medal favorites Melanie Henique (25.84) and Ranomi Kromowidjojo (25.88) were out of the top-3 in 5th and 6th. Kromowidjojo had scratched the 100 free to focus on this event. Aliena Schmidtke was 4th in 25.77. Ben Proud was unable to match his textile WR of 21.11 from the semis, but did win the gold by a tenth in 21.34. 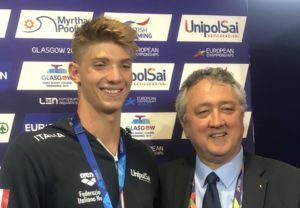 Kristian Gkolomeev of Greece broke his National Record once again for silver in a blazing 21.44, and Andrea Vergani of Italy took bronze in 21.68 (21.37 in semis). 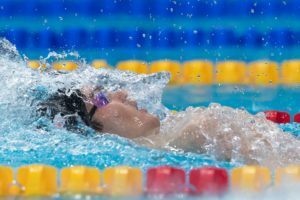 Vlad Morozov was also three-tenths off his semi swim, 4th in 21.74. Other than Gkolomeev, the field was considerably slower than they were in the semi-finals. Like Proud, Yuliya Efimova wasn’t quite on her semi-final swim in the women’s 50 breast, but it didn’t matter as she still won gold easily in a time of 29.81. That gives the Russian the breaststroke sweep for the competition. Imogen Clark was three-tenths off her British Record from the semis, but still managed to snag silver in 30.34, just over Italian Arianna Castiglioni (30.41) who had set the National Record in the heats (30.30). Ruta Meilutyte was locked out of the medals in 4th, 30.46. No one else in the field broke 31 seconds. Italian Piero Codia went out for it in the men’s 100 fly, providing some outside smoke on the opening 50 out of lane 8 with a split of 23.42. The fire didn’t go out coming home, as he had the fastest back-half in the field as well (27.22) to win gold in a time of 50.64. That crushes his Italian Record of 51.09, and also gets under Laszlo Cseh‘s 50.86 meet record from 2016. 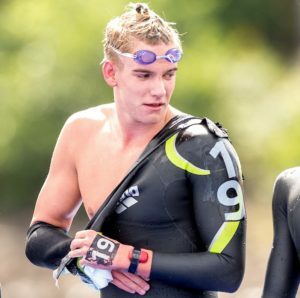 He now sits 2nd in the world for 2018 behind only American Caeleb Dressel (50.50). It was a great race for the outside lanes, as Mehdy Metella and James Guy took silver and bronze out of lanes 1 and 2 in 51.24 and 51.42. 200m winner Kristof Milak just missed a medal in 4th (51.51), while Cseh, who was the top seed out of the semis, ended up 8th in 51.84. Margherita Panziera led the women’s 200 back final from start to finish, out-splitting the field on the 1st, 2nd and 4th 50s to win in a new Championship Record of 2:06.18. That lowers Krisztina Egerszegi‘s 2:06.62 from all the way back in 1991, and it also breaks her own Italian Record (2:07.16) by almost a full second. Russian Daria Ustinova moved into a clear 2nd on the third 50, posting the top split in 32.00, and held off Hungarian Katalin Burian for the silver in 2:07.12, her fastest swim of the season. Burian won bronze in 2:07.43, lowering her personal best of 2:07.65 from the semis once again. 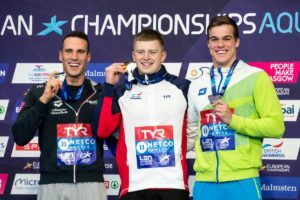 David Verraszto was seeking a third straight title in the men’s 400 IM final, and a fifth consecutive medal after first winning silver back at the 2010 Championships in Budapest. Great Britain’s Max Litchfield had something to say about that, as he went after the race early and led through the 300m mark. Verraszto made up about a second on Litchfield on breaststroke, and they were separated by just .05 heading into the freestyle. It was the Hungarian who got the job done on the free, closing it off in 28.54 to touch in 4:10.65 for a new season-best and the 4th fastest time in the world. Litchfield was just .35 back for silver in 4:11.00, an impressive showing after an injury-plagued season. 2016 Olympic finalist Joan Lluis Pons Ramon of Spain was running 3rd most of the way, and managed to hang on for the bronze for Spain’s first medal of the Championships in 4:14.26 as German Johannes Hintze (4:14.73) wasn’t far back for 4th. Hintze (27.75) made up nearly two seconds on Pons Ramon (29.71) on the final 50. Maksym Shemberev of Azerbaijan lowered his National Record once again after doing so in prelims, placing 5th in 4:14.77. 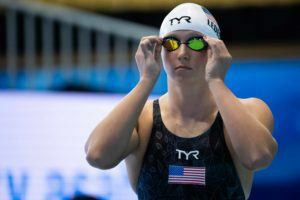 Simona Quadarella, Ajna Kesely and Holly Hibbott were together nearly the entire race in the women’s 400 free final, and on the final 100 the Italian and Hungarian separated themselves as they battled to the wall. 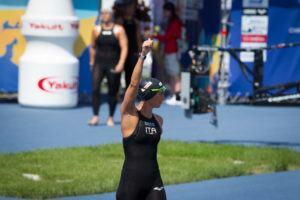 Kesely was two-tenths back for silver in 4:03.57, lowering her European Junior Record (4:05.61) by over two seconds. Hibbott took bronze in a solid 4:05.01, with Russia’s Anna Egorova (4:06.03) and Germany’s Sarah Kohler (4:07.68) back in 5th. Kohler was the top seed coming into the meet. 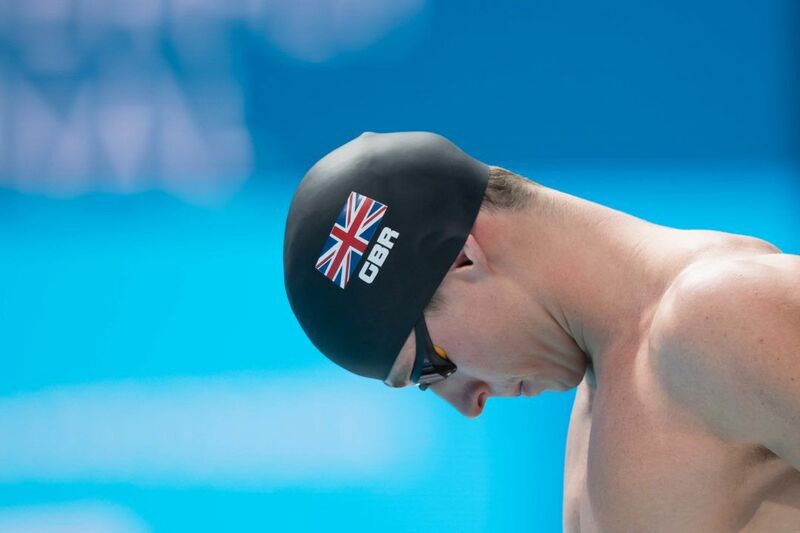 After sitting 4th after the backstroke leg, with a 54.58 lead-off from Nicholas Pyle, Great Britain took over in the men’s medley relay with Adam Peaty (57.60), James Guy (50.91) and Duncan Scott (47.35) producing the fastest, fastest and 2nd fastest splits on their respective strokes to win gold in a new Championship Record of 3:30.44. That lowers France’s 2012 mark of 3:31.32. Russia had a strong lead-off from Kliment Kolesnikov (52.77), but a surprisingly slow breast split from Anton Chupkov (1:00.40) hurt their chances for gold. Vlad Morozov closed in 47.44 as they took silver in 3:32.03, and Damian Wierling (47.75) anchored the Germans into bronze (3:33.52). Lithuania (3:33.70) was 4th, and Hungary had the top anchor in the field from Nandor Nemeth (47.17) to take 5th in 3:34.24. The Russians dominated the women’s 400 medley relay en route to gold and a new Championship Record in 3:54.22, breaking Denmark’s 2014 mark of 3:55.62. Anastasiia Fesikova (59.56) had them in 2nd after the backstroke, and then Yuliya Efimova really set them apart with the fastest breaststroke split in history in 1:03.95. She had been 1:04.03 last year at the World Championships. Svetlana Chimrova (57.34) and Mariia Kameneva (53.37) closed things out for them. Pernille Blume produced one of the fastest free legs in history on Denmark’s anchor, splitting 51.77 to move them up from 4th to 2nd in 3:56.69. Georgia Davies (59.44) and Freya Anderson (52.69) finished off their strong meets in style with quick back and free splits, as Great Britain (3:56.91) edged past Italy (3:57.00) for the bronze and break their National Record by .05. Kira Toussaint (59.81) led the 5th place Dutch team off in a new National Record for the 100 back, and they also had a 52.84 anchor from Femke Heemskerk. Charlotte Bonnet closed in 52.85 for the 6th place French. https://www.reddit.com/r/LiveTvLinks/comments/89krhr/sports/; look for a eurosport link. Looking forward to Proud maybe breaking 21. Please, you’re probably a Caeleb Dressel so plz go! Here we spread happiness, not hate! Yesterday he had a perfect start and breakout, carrying his speed all the way through (only the touch was a tad bad). It’s very hard to match that every time. Russia are mega favorites in the female relay, they have the the winners of the 100 breast,fly,back without Sarah. In the men’s it will be down to the flip of a coin, a lot of pressure on GB’s backstroker, he needs to be within 2 seconds of Kolesnikov.